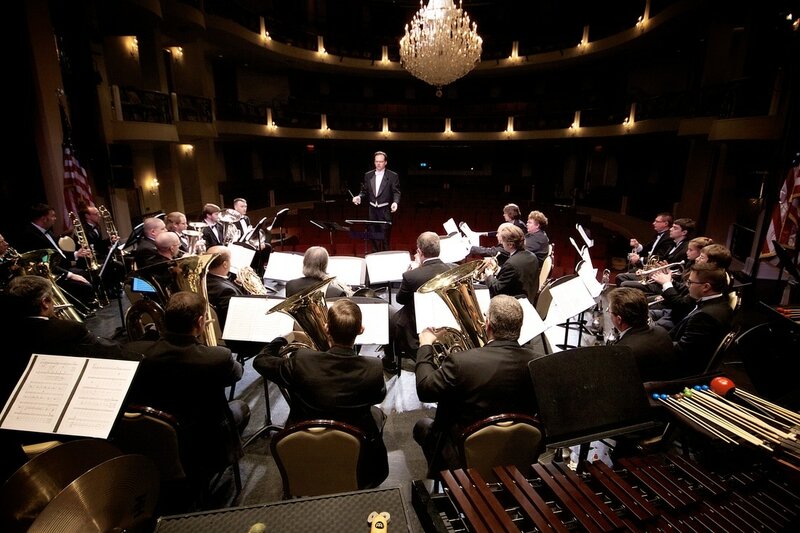 ​The North Carolina Brass Band, under the direction of Brian Meixner, is a 28-member brass band composed of many of the finest brass players and percussionists in the state. Including symphony orchestra musicians, leading soloists, chamber music professionals, jazz artists, brass and percussion professors at universities throughout the region and highly sought after freelance professionals. The diverse musicians of the NCBB have come together to create an ensemble as colorful and rich as the literature they perform. The NCBB provides concertgoers with a variety of musical styles; including transcriptions of music for orchestra, wind band, choir, jazz and pop music, and the wealth of exciting original music written for brass band. The NCBB’s unique sound makes for a highly enjoyable concert experience. The North Carolina Brass Band has thrust onto the music scene with the recording of two albums and thrilling audiences with performances in its home region of the Piedmont Triad and beyond. Performances at the Great American Brass Band Festival and the North Carolina Music Educators Association convention were received enthusiastically. The NCBB is not only committed to enriching the lives of its audiences through concerts and recordings, but also to enhancing music education and the experiences of young students throughout the region. This is accomplished through the North Carolina Youth Brass Band, hosted at High Point University and open to area high school-age brass and percussion students. The NCYBB began in September 2015 and registration is ongoing. Thank your for your support of the North Carolina Brass Band and we look forward to seeing you at an ﻿upcoming performance﻿! In the meantime, please do not hesitate to contact us and introduce yourself. We love meeting brass and music enthusiasts who share our passion for great music!